Well, the truth is – I had a bunch of mushy bananas left over in the fruit bowl and a load of oats from one of my other recipes ‘Raisin, Oatmeal and Chocolate Chip Cookie’ recipe that I made recently for some friends. I genuinely cannot handle wasted food so tried to think up a recipe that I could do with the odd bits and bobs found around the house. 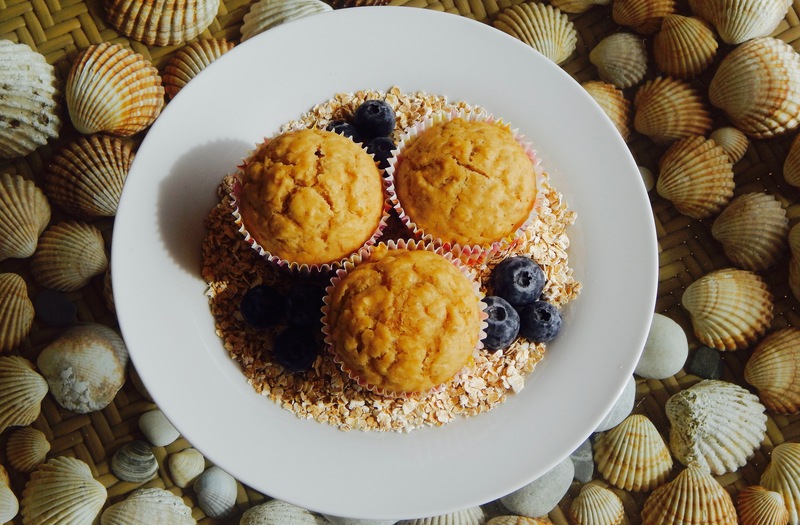 I started with a little bit of this and a little bit of that until I created these deliciously healthy banana and oat muffins. I’m telling you, the smell that emanated from the oven was just incredible and filled the house for at least a few hours. I just had to share this amazing recipe with you all. Set your oven to 180C and line a cupcake-baking tray with muffin paper liners. In a clean, dry bowl add the bananas and mash until pureed. Add in the eggs, brown sugar, milk, olive oil and combine. 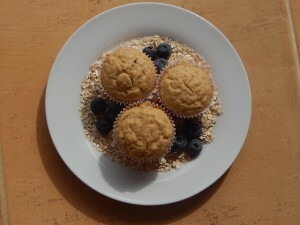 In a separate bowl add the oats, plain flour, wholemeal flour, baking powder, salt and mix with a spoon. Add the dry flour mix to the wet egg mixture 1/3 at a time until all these ingredients are combined. Now, add in the cinnamon, nutmeg and any additions that you fancy and mix all the ingredients together. Using a spoon add your batter to the paper muffin liners until they are nearly full. Place the batter in the oven for 15 to 20 minute, or until they spring back to the touch. Once your cupcakes are ready, remove them from the oven and leave to cool on a wire cooling rack. On the odd occasion that there are any left after they come out of the oven, they go really well with some yoghurt or to go if you’re in a rush to get to work. 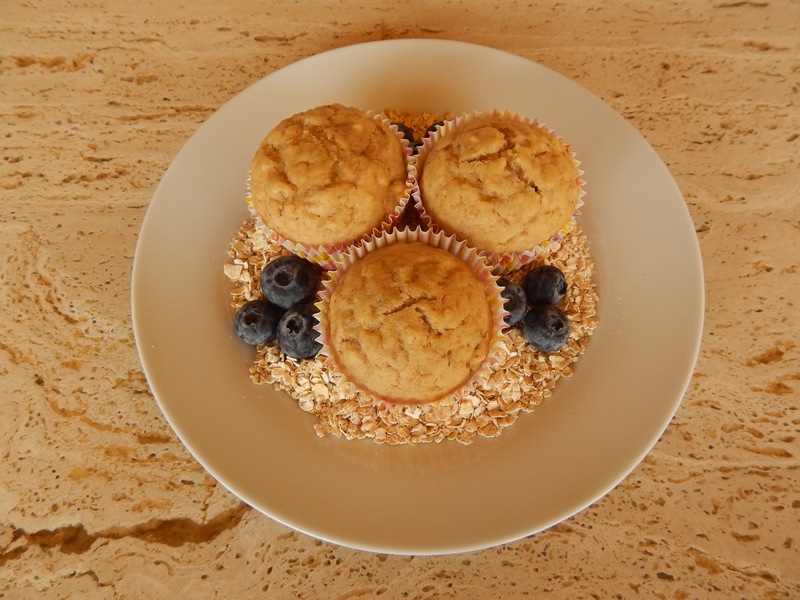 A great, hearty and healthy breakfast that will keep you going till lunch. 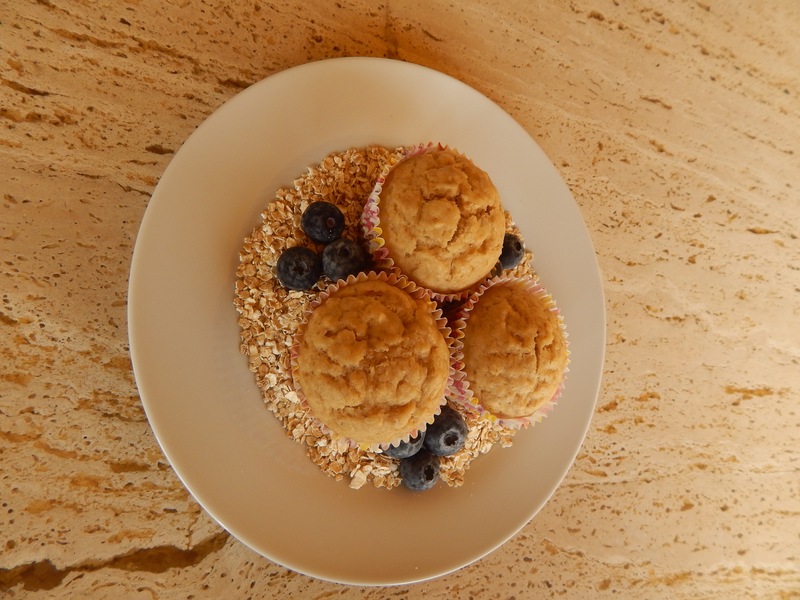 Hope you’ve enjoyed this recipe and keep checking the site for some new and exciting treats I’ve got coming for you.